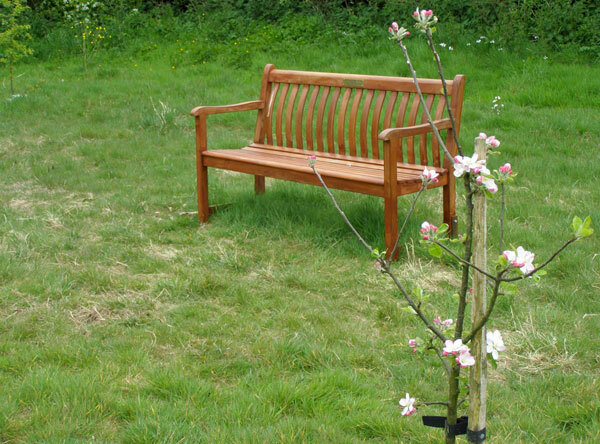 The Community Orchard is a short walk from the centre of Wenvoe occupying land on the Wenvoe Playing Fields. The orchard itself has around 25 trees including a selection of apples, plums and pears along with medlar, quince and mulberry. Varieties include Ashmeads Kernel, Ribston Pippin, Opal, Tom Putt, Bardsey and Grenadier. You could also find some crabapples, mirabelle plums and hazel. 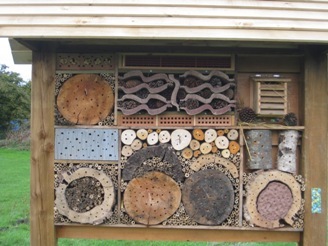 There are other wildlife habitats to look at including a pond, stream, newly planted hedgerow, old hedgerows and mature trees including oak, willow, field maple, ash and horse chestnut. A noticeboard gives additional information and on the reverse of this is a large bee hotel. 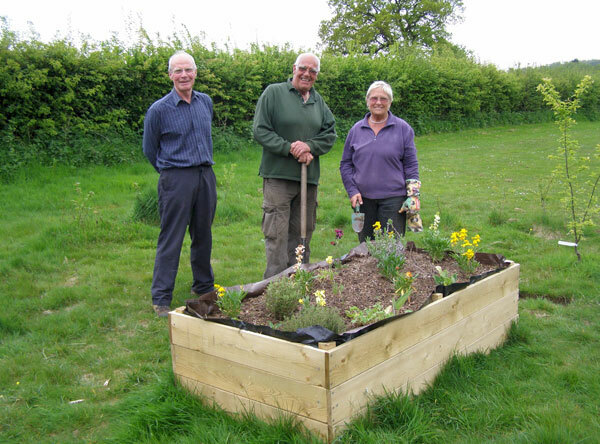 Wildflowers are gradually becoming established on the grassy areas and there is a raised bed with bee-friendly plants. Wildflowers you could see include Primrose, Cowslip, Ragged Robin, Purple Loosestrife, Oxeye Daisy, Sneezewort, Pasque Flower and Snakeshead Fritillary. Shrubs are also being planted such as Guelder Rose, Mahonia, Flowering Cherry and Escallonia. 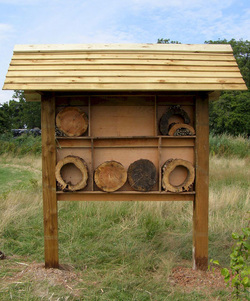 Download this free Nature Trail information about visiting the Community Orchard in the Spring.